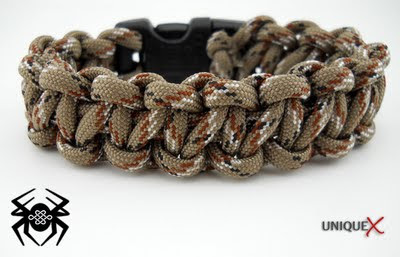 If you have searched the internet for a "survival paracord bracelet" then chances are that most of the results were for a Solomon Bar bracelet, and that's fine but I wouldn't want the task of unraveling a Solomon Bar bracelet while in a survival situation. 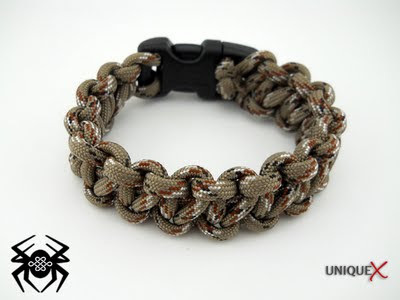 I would want a bracelet that can go from bracelet form to one long strand of paracord in less than a minute. 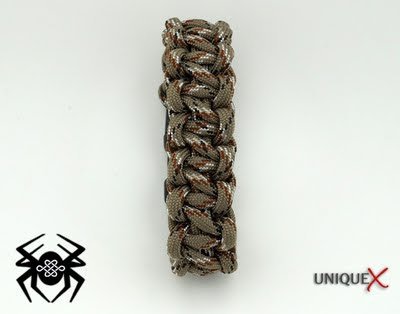 With this tying technique you will end up with a bracelet that is very similar to a Solomon Bar but it can be unraveled in seconds. If you read my announcement marquee, I said that the first weekly post would be on Monday, August 1 but like most of the time, I got behind and couldn't get this post out on time, sorry. 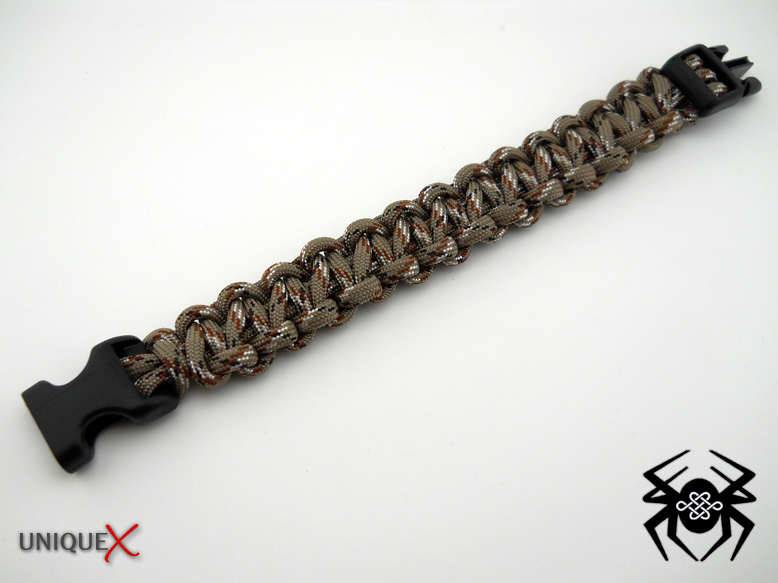 I had to rush this post so I didn't have time to take any images of the tying process but I will soon if there is a need for it. As I often do when researching knot designs, I troll the internet for new innovative designs, which is how I discovered this video. 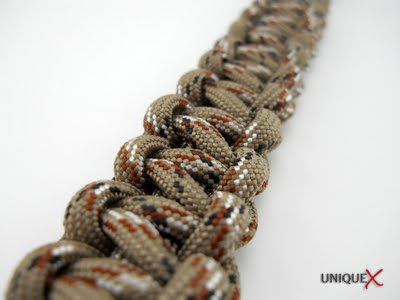 The author titles the design as a "Chain Sinnet Square Knot". Though the video is grainy and hard to see at times, I believe everyone can see enough to quickly figure out how to tie this knot. 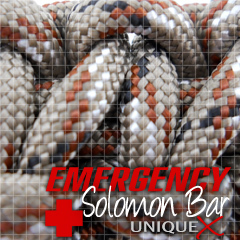 This design is very similar to a Solomon Bar and most people want be able to tell a difference but there is a slight difference. Once tied, the loops run at angle but if you massage the paracord carefully, much of this want be seen. As for the buckles, I may have to show images of how I tied mine because I didn't tie mine like the author of the video, you should tie the buckles the way you feel most comfortable and what looks the best to you. I call this knot 'Variation on the Chain Sinnet' :). Developed it years ago to get the truly quick-release functionality (as I'm sure many folks have come up with independently). Not quite as pretty as the Soloman bar, but worth the trade off. I usually tie mine as a key fob.